Last week was the first week of my fall term, so I decided to take a week off of the Handmade Occasions posts. One of the reasons that I wanted to start doing these was because I still owe a few gifts from previous years. Promises that were made and not quite kept. Most of them I even have the supplies for, but haven’t gotten around to doing. The person who has probably had to endure this the most is my husband Anthony. In fact, this year, he has requested that I just make him the awesome things I’ve “given” him the past few years. Geeze! What a lame-o I am! As always, I would love for you to join me in compiling 5 tutorials you think might make awesome gifts. Look for the link at the bottom to join the link party. The other promised gift I’m going to share with you today is a bow tie for Anthony. (Also Doctor Who inspired.) These are ridiculously easy and you can customize however you’d like. 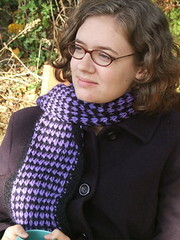 This pattern from Angela Osborn seemed very straight forward. Since it is officially the beginning of fall (and it truly feels it here.) I need something to decorate our house with! I love this simple fall leaf garland by A Beautiful Mess. 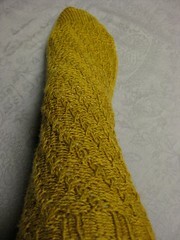 I have always loved Thimble and have admired many of the tutorials posted there. With the holiday season coming up, many of us or our family members will be traveling. Having a travel wallet really makes things easy. I’ve made one for myself (from a different pattern) and it makes it so much quicker to find the essentials. Hope you enjoyed some of these tutorials. 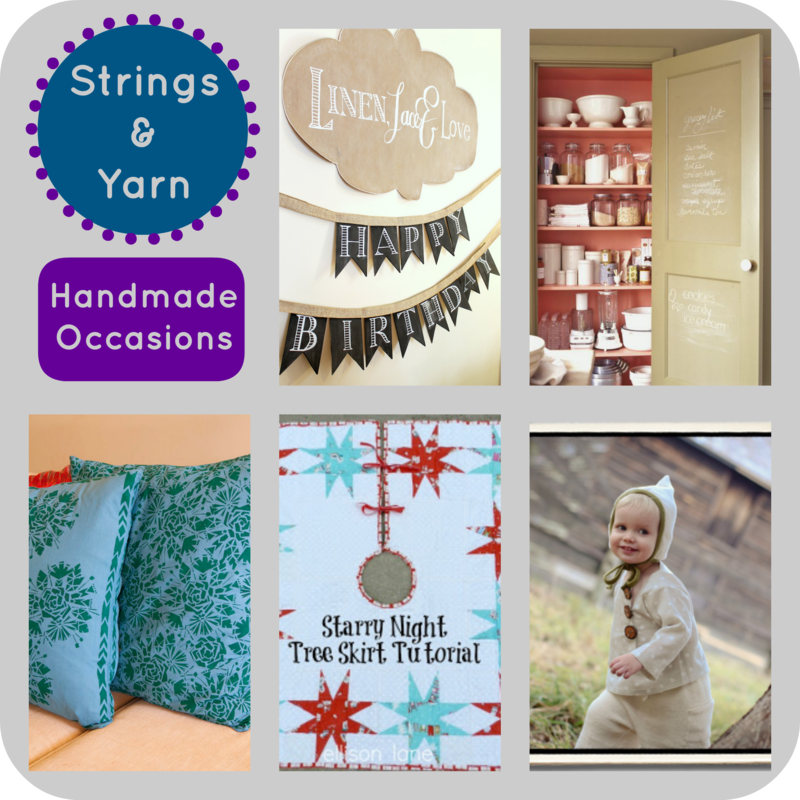 You can check out past Handmade Occasions for more gift ideas or join me by compiling your own list of 5 gift tutorials before Sunday September 29 at midnight PST. I titled this Connor’s Fall Plans, but in actuality they are my fall plans. This is my effort to expose Connor to new forms of play and get us out of the house doing things (even in the rain). My husband Anthony and I split care of Connor. I work, Anthony watches; he works, I watch. I get to watch Connor Monday, Tuesday and Friday mornings. This was our first week of trying out our new schedule, and we had a great first week! Mondays are our free morning. I don’t have anything much planned for this day. It’s our chance to make any errands and do some chores. Most likely I’ll take this day to do some of our more routine artwork such as painting and crayons. On Monday this week we tried out markers for the first time. Tuesdays are the get out of the house to play day. Most Tuesdays this will be at our closest park. I’ve told myself, we’ll be going whether or not it’s raining. Well, the Oregon rain decided to test my will. We had an unusually heavy rain. We waited awhile, and then we put our rain gear on and headed out. 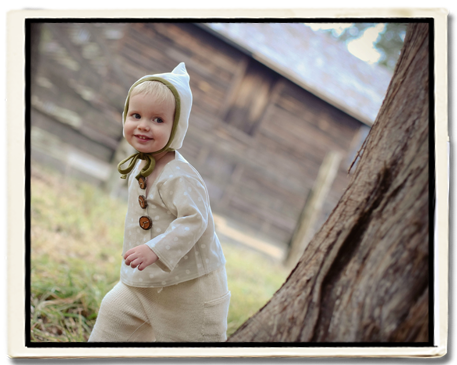 Thanks to Bonnie for company and the awesome picture of my little guy. Connor loved the rain! (my little Oregonian) He’s been talking non stop about it since we splashed around in the park. 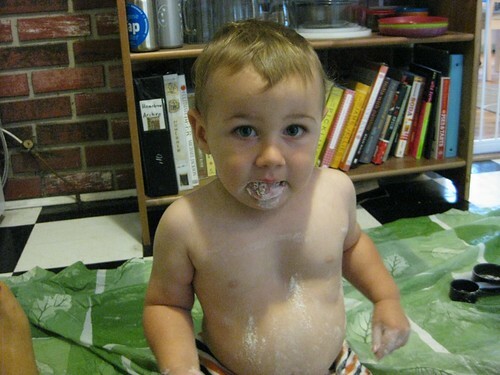 I had seen this invitation for flour play on Tinkerlab and decided to try it with Connor this week. 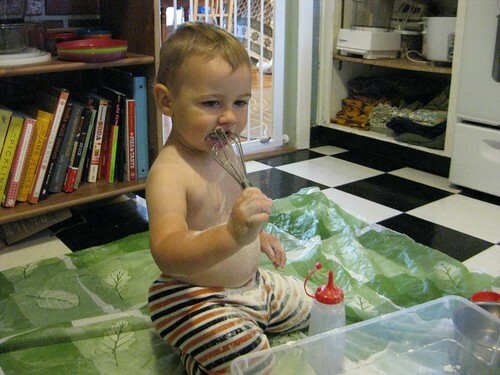 We love including him in the kitchen as often as we can so this seemed like a great extension of that. I was going to try and get a picture of the invitation of play, but as soon as Connor saw it he dove right in before I could snap one. Good sign! We started with some scooping. This lasted a long time. 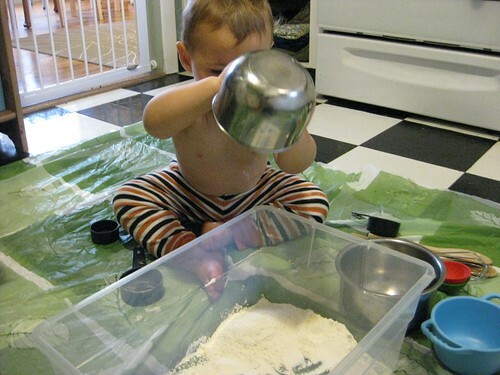 Connor loved transferring the flour between all of the different containers. Then Jasmine had to come along and check out what was happening. She (very audibly) sniffed at the flour. 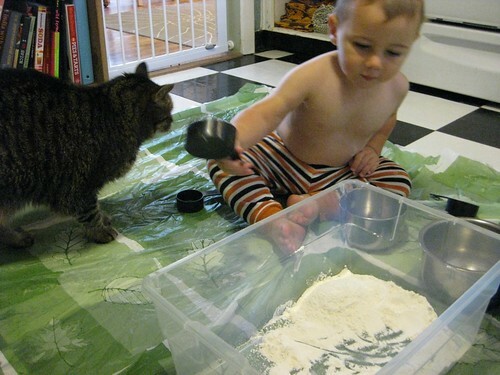 You know you’ve reached the imitation stage when he then very audibly sniffed and snuffed at the flour just like the cat! We also did a lot of grabbing and touching. Then we got around to tasting. His response (even though it doesn’t look that way from the picture) “Mmmm…mmmm….mmmm…mmmmm” Then we found the water and (naturally) needed to take a drink. We got to squirt the water. 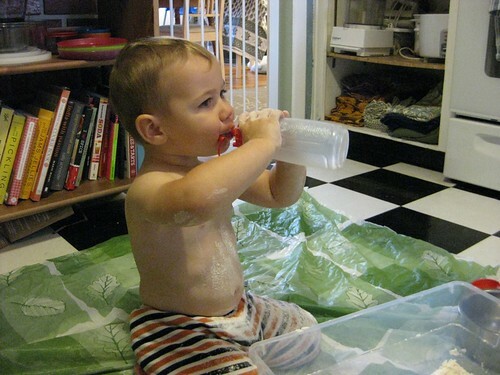 We refilled the bottle several times since squirting was just so much fun. We tried out the whisk. Got goo in our hair! 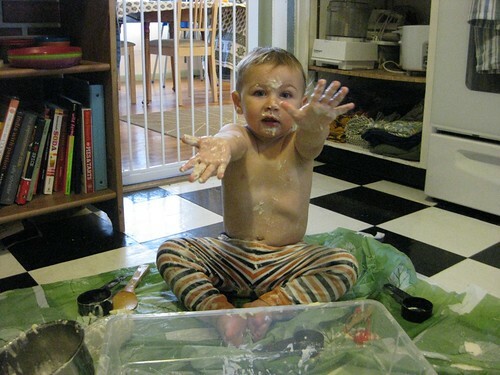 And finally wanted to clean up the mess! Like I said before. These “plans” are much more to get me to try out activities with our little guy. He’s interacting with his environment in new and creative ways every day and observing him learning has been incredible. 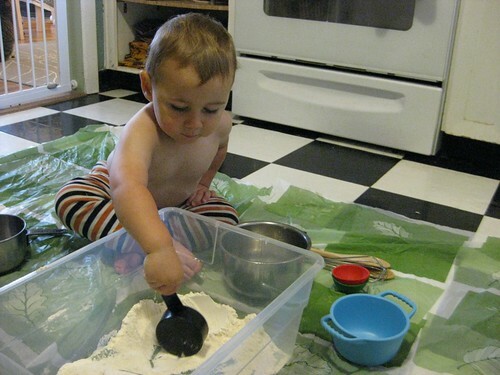 This is also in an effort for me to feel more at home with messy play and how to set it up so that I can clean up quick and easy. I taped the corners of a cheap shower curtain from the dollar store to the floor. That plus a few towels nearby made clean up quick and easy. 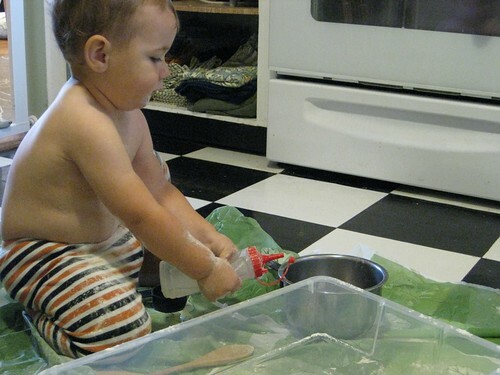 Have any suggestions for good messy play? I’ve written a little here about my cheese making exploits. (That farmhouse cheddar was okay, but I learned a lot about temperature control and what can cause sour flavors. However, the parmesan I made after that was amazing.) Anthony eventually made me a cheese press and I’ve explored a few hard cheeses and several soft cheeses. One of the reasons we often try these crazy food experiments, crafting exploits and such are to try to save costs. A while ago we decided to try and make yogurt for just that reason. We go through a lot of yogurt and it always ends up being one of the more expensive things on our grocery receipt. (I must insert here that we have a pretty ridiculously low grocery receipt… Maybe that’ll be a future blog post.) We tried, and tried and it just never quite worked out the way we liked. It was runny with some yogurt flavor. Sometimes it was a little thicker, but not really what we were used to or wanted. So we just kind of decided that yogurt making was probably not our thing and set it aside. Now that we have our little guy though, we wanted yogurt with more fat in it. Both Connor and I needed more calories, and this seemed like a great way to help that along. However, it is super hard to find yogurt that isn’t low fat or fat free. I love greek yogurt, but now our grocery receipt started climbing again. So after listening to this interview of Sandor Katz on Splendid Table, everything made sense. We have Wild Fermentation (which I immediately pulled off the shelf) and the Art of Fermentation is definitely on the wish list. I knew what I had been doing wrong! Maybe we could be yogurt makers after all. Let me just say, I would love to find an heirloom yogurt starter. That sounds like so much fun. However, without one, we purchased a small container of Nancy’s Yogurt and so far it’s lasted 5 batches of yogurt and is going strong. Want to make yogurt? Here’s our process. Easy right! The hardest part can be the starter. You can purchase a starter like this one or you can try to use a yogurt from the store. The secret is to check the ingredients. It needs to be plain yogurt with nothing added to insure success. 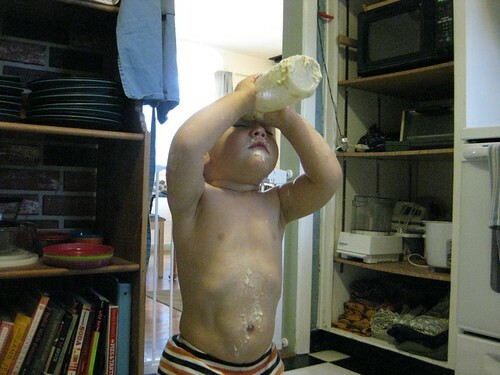 If you are using an existing yogurt you’ll need 1 tablespoon per quart of milk. 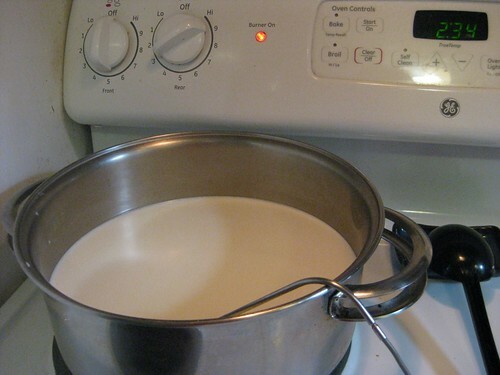 Take your 1/2 gallon of milk in a pot and place on medium low heat. You want the milk to heat slowly. Stir it occasionally. I often am doing some various chores while making yogurt. Tidy here, stir the yogurt, clean there, stir the yogurt, etc. It takes me about 20-30 mins or so to heat up. 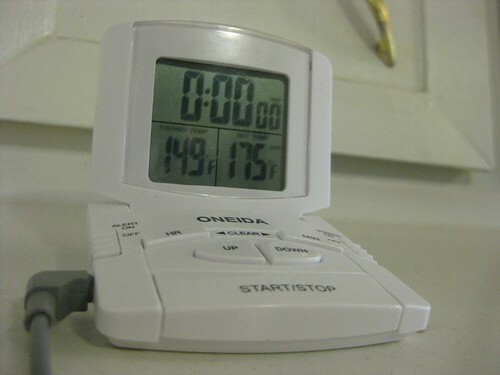 Your target temp is 175°-180°. I love using this thermometer because I can walk away and it’ll beep at me when it’s ready. I just wish that it worked as the milk is cooling down also! After the milk has reached temp, turn off the heat and let it cool to 110°. This isn’t surprising if you’ve ever made anything yeasted, or with a living culture. Higher temperatures will kill off yeast, cultures, scoby, mother, etc. Now I place my starter in my glass pan and spoon in some of the warm milk to mix. People often use mason jars as a container, we just happen to really like this pan for yogurt making in our dehydrator. (Since I’m using yogurt from the store I put in 2 tablespoons for the 1/2 gallon of milk. It’s super important to not put any more than that for a healthy yogurt! That’s one of the things we were doing wrong before: thinking more was better.) 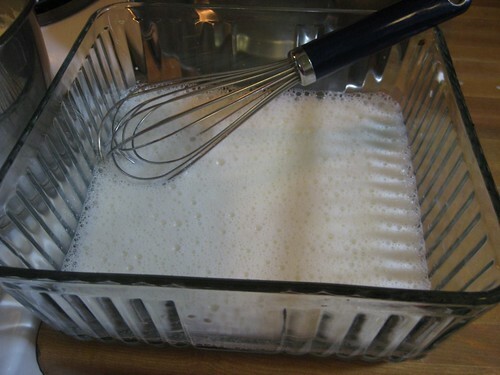 Whisk together and then add the rest of the warm milk. We have a fancy dehydrator that we use for our yogurt making. However, you don’t need this to do it. Plenty of people use a cooler packed with towels, hot water bottles. 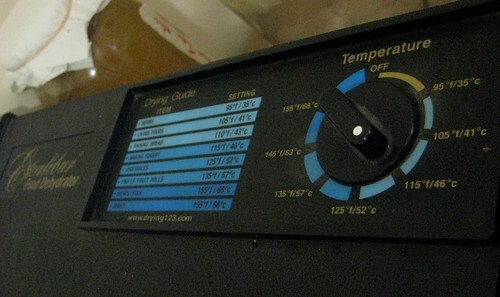 Something that will help it maintain of temp of 110° – 115°. We put it in the dehydrator and run it for 6-8 hours. When it’s pulled out, it mostly looks like yogurt, but it will also get a little thicker when refrigerated. Ours has been delicious and a great way for us to save a little money! Connor turns 2 in December. So that means over the next few months we’ll have a few 2 year old birthday parties that we’re going to. I wanted something fairly easy to make for a gift for all those little 2 year old friends of his. I always like something that will last beyond the first few months of their current age abilities. I had pinned these rainbow button chains on pinterest awhile ago, and knew they would be just perfect for these birthday gifts. While some 2 year olds will already enjoy the buttons or know some of the colors, most will enjoy continuing to work on the concepts through the next year. The fine motor skills of a button is important also. Hmmm… maybe some of my tiny violin students need some button chains. The tutorial was on Tips from a Typical Mom. However, it’s pretty simple. 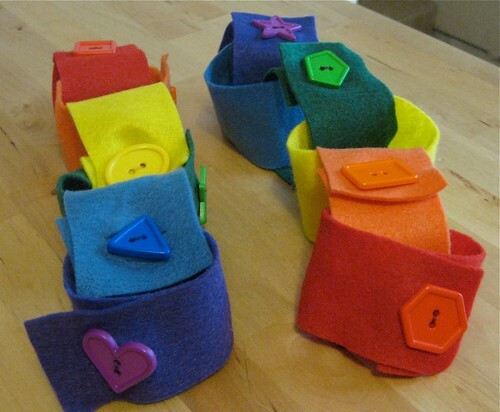 Cut felt into 2 inch strips, cut hole for button, sew on button. I’m especially happy with the different shaped rainbow buttons I found at Joanns. 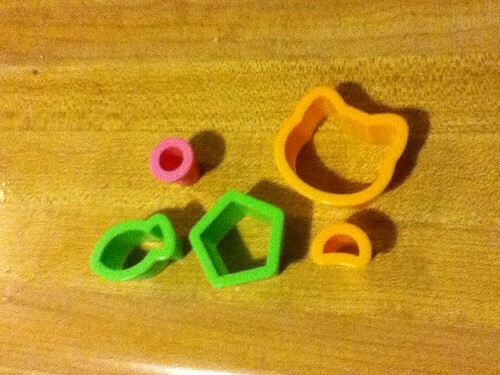 Now I have colors, fine motor control and shape recognition all bundled and hidden into a toy. Perfect! It’s that time again. Every week I’m putting together 5 tutorials that are good ideas for gifts. To me a homemade gift has that little extra special way of showing you care. 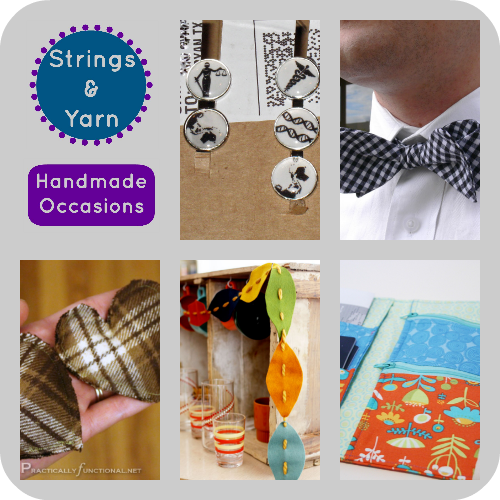 You can also start organizing your lists by joining Handmade Occasions series and linking below. As you can tell this week I’ve been thinking a lot about the little guy. 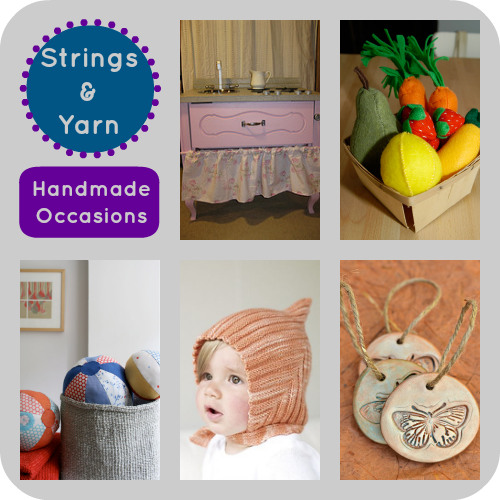 It’s just so much fun to think about the great handmade toys to add to our home. However, I’ve also been busy organizing my fabric and that’s got me thinking about the sewing projects I need to get going on as well. Connor is definitely ready for one of these little play kitchens. 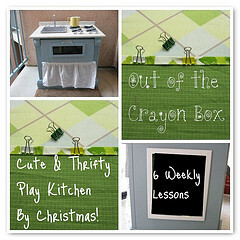 This flickr set by Out of the Crayon Box has lots of pictures of the step by step process. You can also find her six week tutorial here. We’ve already purchased our night stand and you’ll probably be seeing more about this tutorial later. 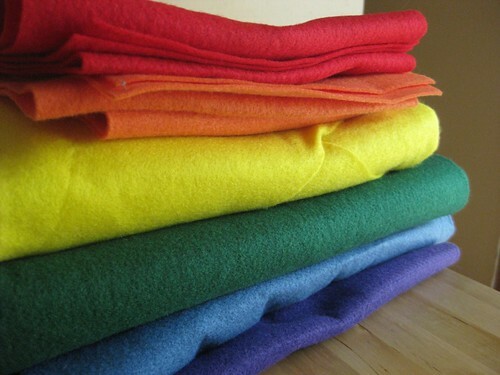 Of course you need some awesome felt food to go with your play kitchen. There are tons of great tutorials for felt food out on the web, but this list from Apartment Therapy should get you started. As soon as I saw this fabric beach ball tutorial from The Purl Bee it went right to the top of my baby gift list. Every baby loves balls and these soft fabric ones are sure to get a lot of good use. So far that’s a lot of sewing and as you may know knitting is my first love. I’ve made several of these Stella Pixie hats for my little guy and friends. I love this pattern. It’s simple, so cute and stretches a ton! I made ours when my guy was 6 months and it still fits him now. 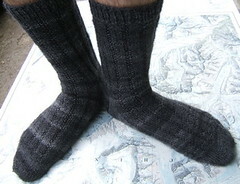 Add it to your Ravelry queue here. 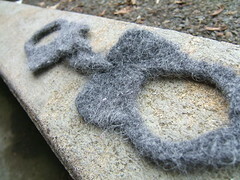 I love these simple gift tags made out of clay from Intimate Weddings. 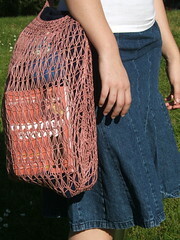 What a special way to top your gift and with something reusable. I also think these would make a very nice ornament for the holidays. Time to get out my stamp box and see what might work well. Want to join me? 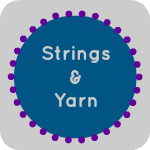 Compile 5 tutorials, recipes, or patterns that would make good DIY gifts and insert your link to the collection below by Sunday September 8 at midnight PST. I’ve made this Smitten Kitchen recipe twice now, and it is easy to knock together plus everybody is a fan! I love that I know the ingredients going in and we can mix in some whole wheat flour. My only mod to the recipe is that I add about 1/4 teaspoon curry powder. Yum! 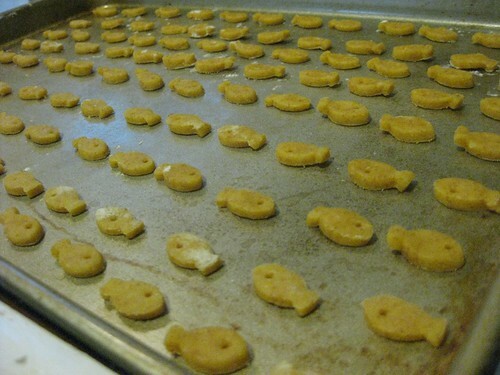 The first time I used a pizza cuter and just made squares (more like a Cheez-It really), but after I made them I realized I actually had a tiny goldfish cookie cracker cutter. The tiny fish was included in a bento box set we got in Japan. I have grand plans dreams to make lavishly complicated bento lunches for us in the future. Even though we all eat lunch at home. 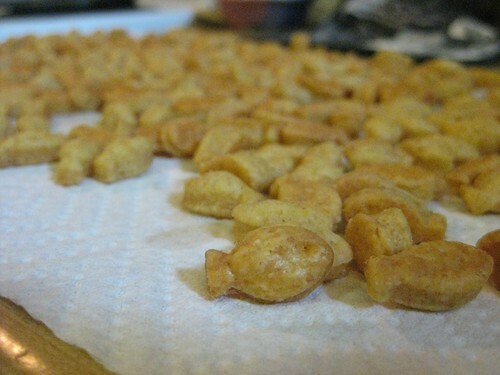 When I made the goldfish the second time, naturally, I made fish. However, my fish cutter is only about 1/2 inch. This meant a lot of cutting. We had several schools of fish. Will I be doing it again? Maybe someday. Next time I think I’ll stick to the pizza cutter and try triangles.